Blood pressure (BP) is the pressure exerted by circulating blood upon the walls of blood vessels, and is one of the principal vital signs. When used without further specification, "blood pressure" usually refers to the arterial pressure of the systemic circulation. 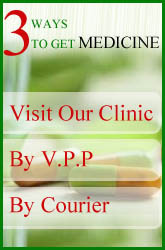 During each heartbeat, BP varies between a maximum (systolic) and a minimum (diastolic) pressure. The mean BP, due to pumping by the heart and resistance to flow in blood vessels, decreases as the circulating blood moves away from the heart through arteries. Blood pressure drops most rapidly along the small arteries and arterioles, and continues to decrease as the blood moves through the capillaries and back to the heart through veins. Gravity, valves in veins, and pumping from contraction of skeletal muscles, are some other influences on BP at various places in the body. The measurement blood pressure without further specification usually refers to the systemic arterial pressure measured at a person's upper arm. It is measured on the inside of an elbow at the brachial artery, which is the upper arm's major blood vessel that carries blood away from the heart. 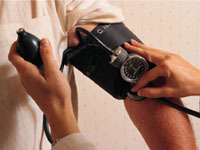 A person's BP is usually expressed in terms of the systolic pressure over diastolic pressure (mmHg), for example 140/90. 4. Ethnicity: Native Americans and South Asians (like us) are at higher risk due to more incidences of diabetes and hypertension in these races. 5. Prior history: Which means if one has had a transient ischemic attack (TIA) or mini stroke in the past, that person is at a high risk of having another one.